It is such an honor for me to be accepted into such an esteemed group, I have admired the work of the artists associated with Best of Missouri Hands and am very proud to be a part of this organization. 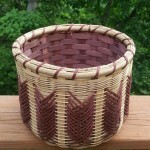 I took my first basket class in Sturgeon Bay Wisconsin in 1988 and immediately fell in love with the weaving process. 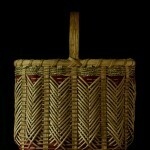 I marveled that I had been taught a skill that had been handed down for many generations and I wanted to pass on this knowledge to others. 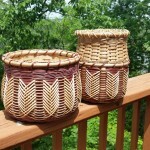 Baskets can be simple and useful or intricately woven to produce a one of a kind masterpiece. I enjoy coming up with new ways to perfect an old art. 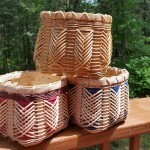 Recently I have been creating double walled baskets usually with a pattern on the outside. 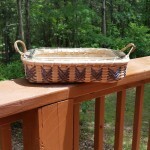 Making custom baskets is what I enjoy most. 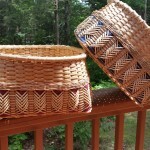 I love it when I’m given dimensions and an explanation of why the basket is needed or what its use will be, then hopefully I can create a one of a kind treasure. 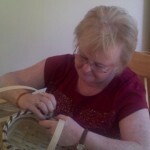 I was born in Glasgow, Scotland and have travelled worldwide with my husband of 45 years. Bob is retired from the United States Navy. We have two children and six wonderful grandchildren. We moved to the beautiful Ozark Highlands, (the quiet side of the lake) in 2004, when we both decided it was time to officially retire. 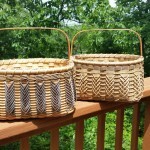 I have sold my baskets at the Mill in Branson and Silver Dollar City. 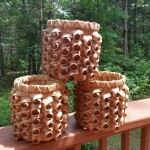 At this time orders can be placed through my Etsy site.